Welcome to this week’s Supplier Story! ‘Supplier Stories’ is an original Bridebook Business article series, where we go behind-the-scenes and into the wedding world through those that know it best – the experienced and talented venues and suppliers across the UK. So whether this is your first story or 10th, enjoy as we look into the industry as a whole, and celebrate a true story in itself! Who says couples have all the fun? 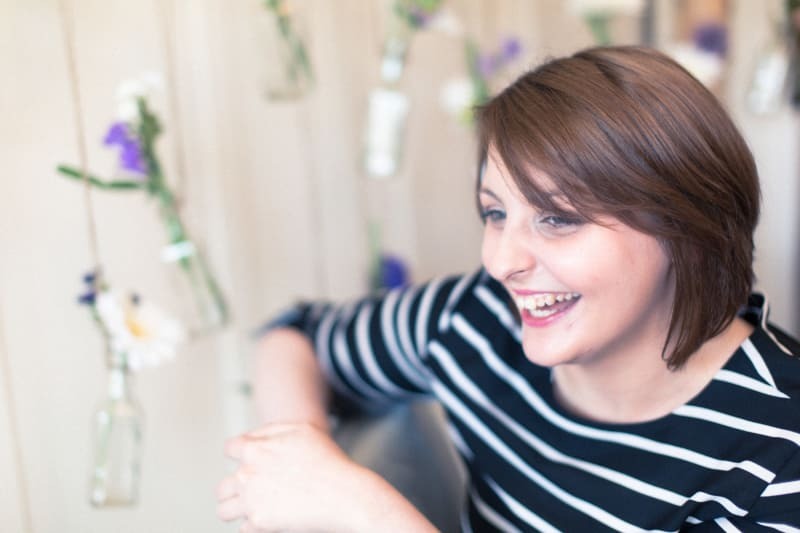 This week we’re talking to Amy Crammond, florist extraordinaire at Thoughts of You Flowers. Thoughts of You Flowers are an attentive and creative team of two who make eye-catching floral arrangements out of fresh and silk flowers. Their adaptability and ability to recreate their couples’ vision earned them the North of England Wedding Awards for Outstanding Customer Service 2015, and is the linchpin of their work. So without further ado, Amy over to you! I’m a wedding florist, wedding blogger and a published writer, basically, if it involves weddings and flowers, I’m on board! I love to learn new things, whether it’s a new floristry technique, a new tip or trick for social media or something to improve my website. This year I have even purchased a ‘proper camera’ in the hope of learning how to take some better photos of my work – currently, I’m using my trusty Samsung camera phone. So, the amazing photos you are seeing of my work are by some of the very talented photographers we have had the pleasure of working with. Having trained as a florist in 2008 and worked at various local florists in the area, in 2013 I opened my own florist shop creating flowers for all occasions, including weddings. In 2015 we won a regional award for Outstanding Customer Service for wedding flowers in the North East. After we won the award our wedding bookings have just kept increasing and increasing! 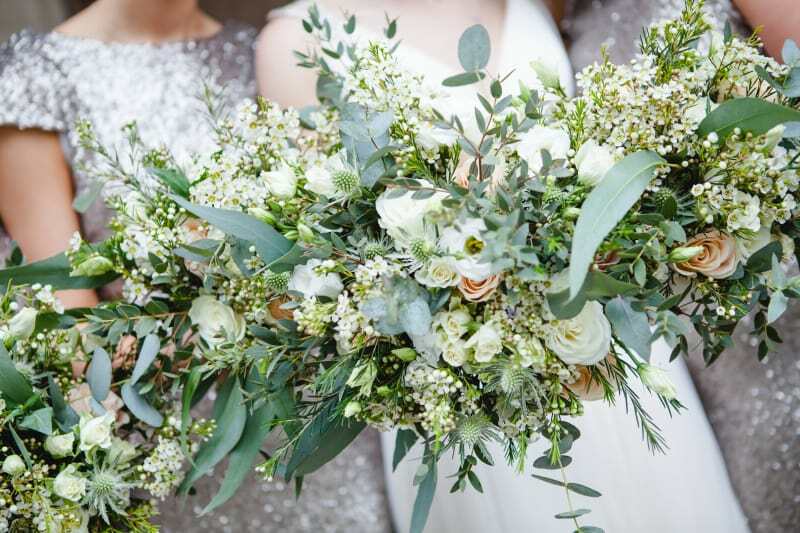 We decided it was time to focus on ‘just’ being wedding florists, so on Christmas Eve in 2016 we closed the florist shop and became a wedding only florists. We entered the Bridebook Wedding Awards this year and our couples were very so supportive of us. We’re now looking to the future and finding a new studio to work from for 2018, to create lots of lovely wedding flowers in and to keep growing our business. 3. What drew you to the wedding world? It’s really simple: weddings are lovely happy occasions. Being involved in the planning of someone’s wedding day and then seeing them on their wedding day is amazing, building up the relationship and trust and then delivering the final product. It’s really special and we love it! 4. What do you see as the biggest challenge in the wedding industry currently? I think a potential issue at the moment is the number of companies who are not fully insured or fully registered as businesses. Lots of these types of businesses are run as a hobby and may not have the correct insurance policies or experience to produce high-quality work or offer high service levels. There are so many businesses that are amazing at what they do and are fully insured – these are the wedding industry professionals that brides and grooms should be looking to have as suppliers for their wedding day. 5. What trends are you seeing in the industry? 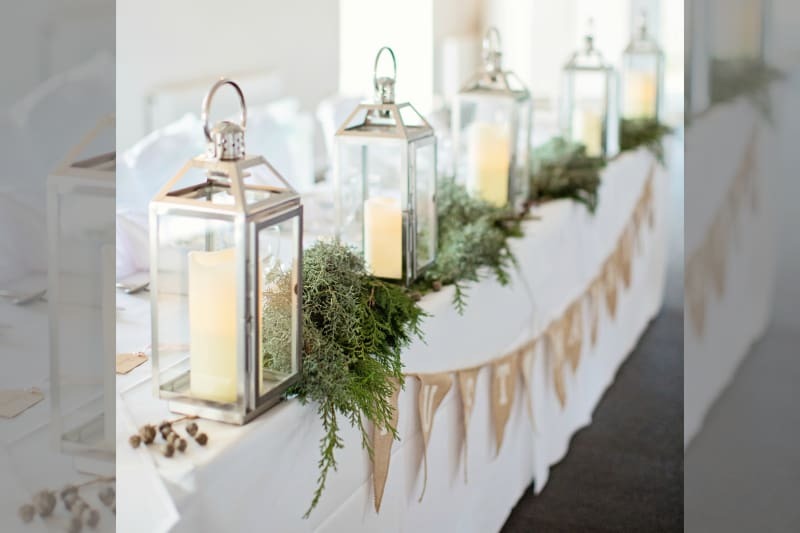 It’s all about the relaxed, informal approach – with the ever increasing popularity of barn or country hall wedding venues and relaxed styling to match. With green being the Pantone colour of 2017 using foliage is a huge wedding flower trend, with some weddings using more foliage than flowers – in buttonholes, bouquets, garlands on the tables and foliage on the chair backs and even on the cake. It really is all about the green! 6. What is the biggest challenge you face on the wedding day itself? For me, it’s trying not to show how stressed I am. I always stress the day before and the day of the wedding, once the flowers are delivered and I get that happy hug from my brides (and/or grooms) I relax! It’s an ongoing joke that I am so relaxed when helping with the wedding planning and consultation stages that my couples would think I was a different person if they saw me the day before and morning of their wedding day. I guess this shows how passionate I am about my work, delivering the end result and knowing my couple are happy with my work. Receiving a lovely email, text, call or review within a few days of the wedding is always lovely too! 7. How do you feel technology is changing the industry? Pinterest is giving brides and grooms so much more choice and inspiration. It is so handy for a bride or groom to pin their ideas to one place and then be able to show their ideas to any supplier, so if they talk to me about wanting some flowers for their cake they can then show me a photo of said idea for cake and the flowers to go onto it so quickly. Another ongoing joke – what the heck did we do before Pinterest? How did anyone manage to plan a wedding without it?! Instagram and Facebook are also becoming more important for helping to source inspiration and suppliers for couples, especially seeing photos and reviews from past couples. Of course websites are still vital for couples to view, but social media is a huge tool for suppliers to show their work and for couples to find suppliers, especially when using hashtags. 8. What has been your biggest time saver this year? 9. How do reviews impact the industry? Positive reviews and happy customers can make your business but negative reviews and unhappy customers can break it. We all aim to create amazing work for our couples with amazing service to match and I am sure every professional wedding supplier would do everything they could to turn an unhappy customer into a happy customer before it turns into a bad review. 10. How do you get to know your couples before the big day? We spend time with them, be it through face to face consultations, emails, Facebook messages or phone calls. We ask lots of questions – sometimes they may seem silly or irrelevant but every answer helps us to find out more about the couple’s ideas and personality. One question we always ask is if they are messy or tidy, to get a feel for whether they’d want a neat, structured look for their flowers or a more relaxed style. We ask to see photos of anything and everything they have organised for their weddings – particularly the bride’s dress, bridesmaids’ dresses and the groom’s suit. It’s handy to know as much as possible and it’s nice for the couple to see us showing an interest and getting excited about their wedding. 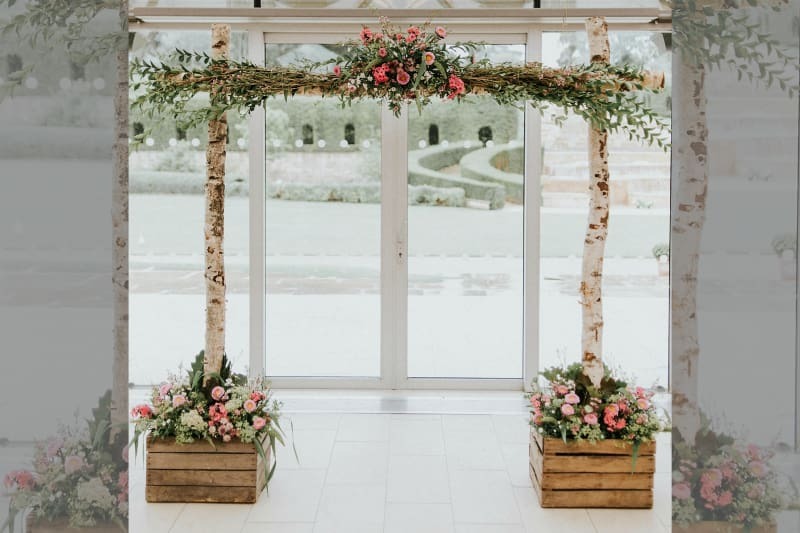 When we post on social media we know that certain couples will like certain posts – some of them can’t get enough of our archway and others just adore an over the top unstructured bouquet. 11. What do you think makes Thoughts of You Flowers unique? I suppose it’s our award-winning customer service that makes us unique. We try to be as relaxed and helpful as possible throughout the planning stages for our couples. 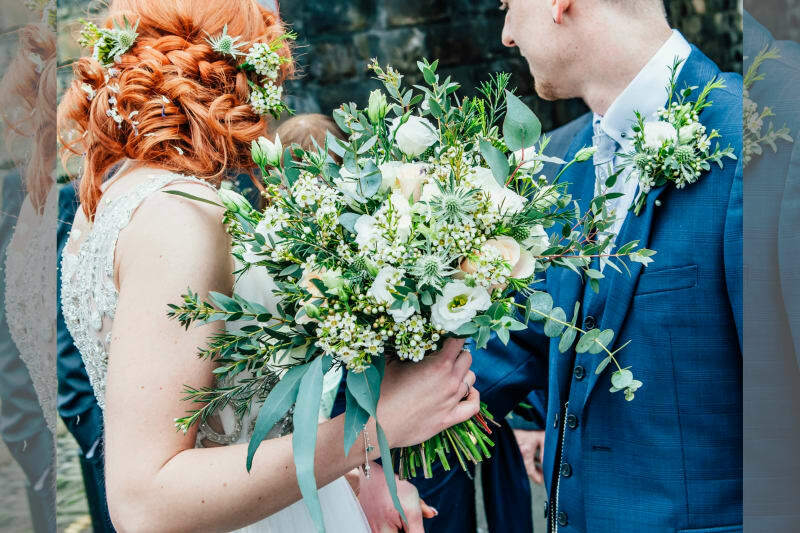 Any questions our couples have we answered as soon as possible and if a couple is struggling with any part of wedding planning we do our best to help, whether it’s finding a certain supplier or thinking of that all-important colour scheme. 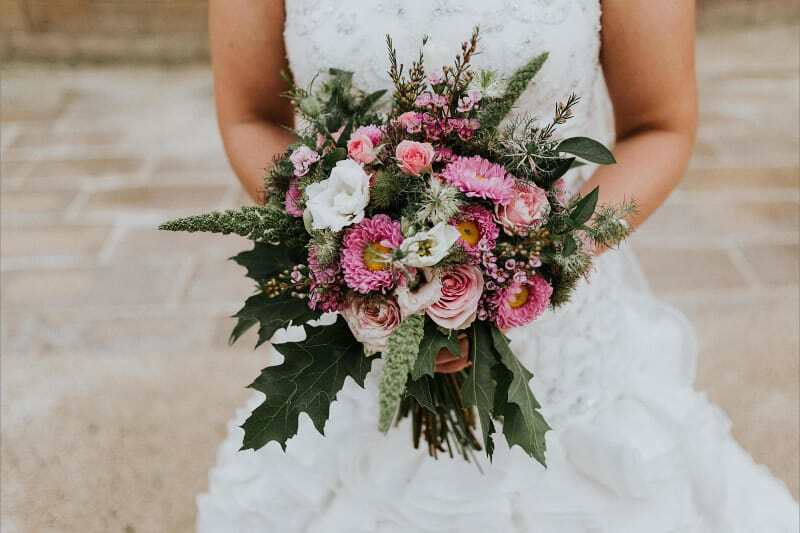 We work using the ‘your style is our style’ idea, meaning we do create any style of wedding flowers that are requested by our couples – nothing is too ‘out there’ or ‘not us’. From the first enquiry until the wedding day our couples get to build a relationship with us, and then on the wedding day we can make sure that the flowers are everything they wanted (or hopefully even better). We also like to add a personal touch, calming any nerves they may have and wishing them all the best. 12. What do you think makes for the perfect wedding? A wedding that reflects the couple – their tastes, personalities, lifestyles and hobbies. We love it when table names are places that are important to the couple, or the songs played are important to them in some way. 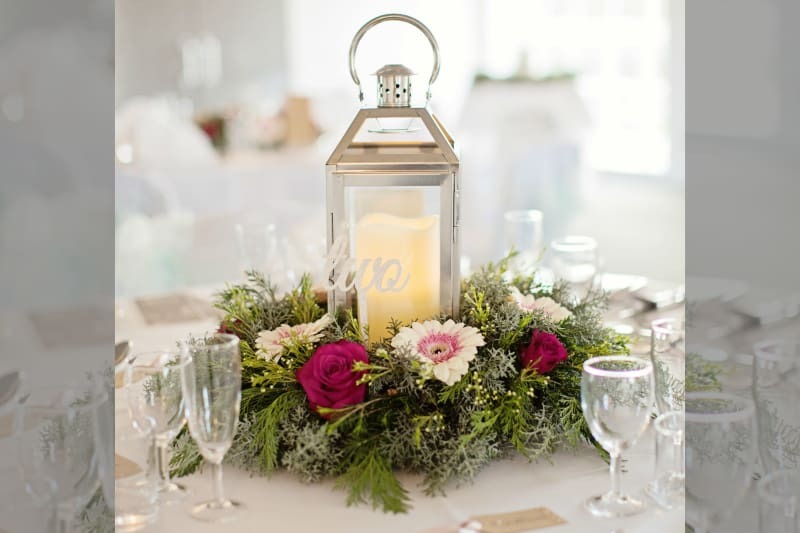 We also love to include any flowers or foliage that are sentimental in some way to the couple. One groom had always bought pale pink carnations for his bride, so pale pink carnations were a must for their wedding flowers. Another of our past couples were worried that they would forget their wedding vows so we included rosemary in the groom’s buttonhole and the bride’s bouquet as rosemary means ‘remembrance’. 13. What’s your favourite wedding memory? It has to be at my cousin’s wedding, when in the groom’s speech he thanked my team for their hard work and patience helping my cousin to choose the flowers for their wedding day (she’s very indecisive!) to match with their colour scheme (pale blue and purple (‘Eeyore blue’)). It was so lovely to be mentioned and thanked in the speech although when all the guests then clapped and cheered it was a little embarrassing! 14. What do you love about Bridebook? I love how easy it is to use for me as a supplier and for brides and grooms. I also love that the staff are all very helpful and friendly and clearly want to help both suppliers and couples. A huge thank you to Amy for sharing her Supplier Story. 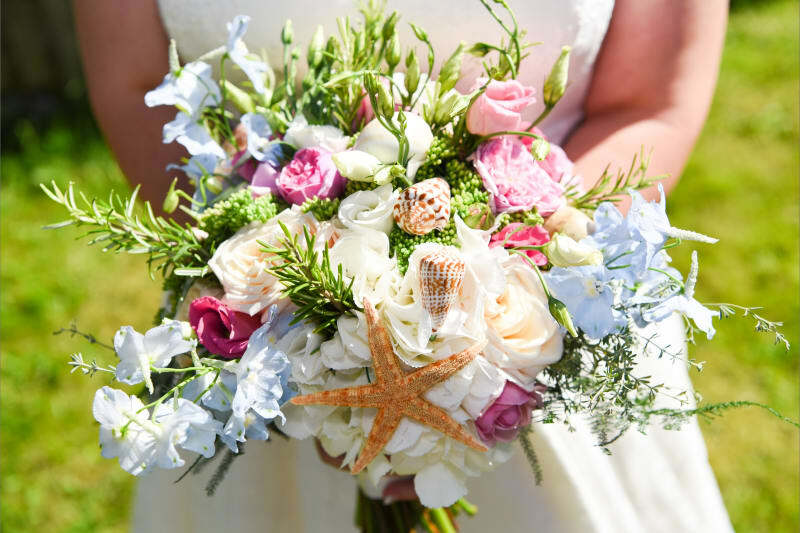 Check out her gorgeous arrangements in her Bridebook profile. Want to feature in your own Supplier Story? Get in touch with Beth at beth@bridebook.co.uk.